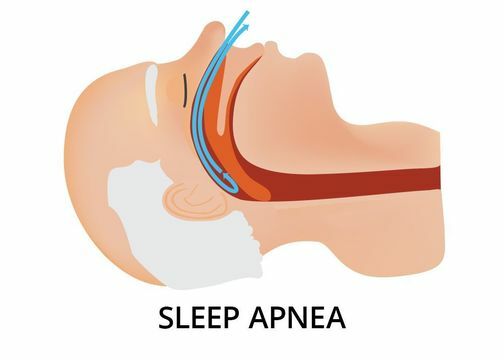 Chronic exhaustion, mood swings, and irritability are all signs of obstructive sleep apnea (OSA). This condition occurs when your airways are blocked at night, disrupting breathing and your sleep cycle. Dr. Byron W. Wall, DDS, offers custom-made oral appliances at his Albuquerque, NM practice. These devices can help you overcome sleep apnea and get a good night's rest. As an expert in neuromuscular dentistry, Dr. Wall is an outstanding choice for the treatment of your sleep apnea. Looking at the overall structure of your jaw, he will make sure that your device is comfortable and effective. Contact Cosmetic Dentistry of New Mexico to find out how an oral appliance can improve the quality of your sleep. Dr. Wall is an outstanding choice for the treatment of your sleep apnea...he will make sure that your device is comfortable and effective. If you suffer from any of these symptoms, it is important to seek treatment as soon as possible. OSA has been linked to a number of serious health problems, including diabetes, heart attack, and stroke. Proper sleep apnea treatment may reduce your risk for these other conditions. How Can Oral Appliances Address OSA? Often, a simple oral appliance, called a mandibular advancement device, is the easiest way to treat sleep apnea. Your appliance will be custom-crafted from impressions of your mouth. It will fit comfortably over your teeth, much like a whitening tray. While you sleep, the appliance will push your lower jaw forward. In this way, it will open up your airways by tightening your drooping soft tissues. In the past, CPAP (continuous positive airway pressure) machines were the most common treatment for sleep apnea. These devices would keep your throat open by blowing a steady stream of air through a mask. However, many patients found it difficult or even impossible to sleep while wearing a CPAP mask. In contrast, oral appliances are easy to adjust to. Most patients notice a significant improvement in their sleep after just one night, although it typically takes about a week to acclimate to the device completely. We work with your physician(s) during this process to ensure the best outcome for your health. Why Choose Dr. Wall for Your Sleep Apnea Treatment? It may seem strange to see a dentist for a sleep problem, but oral health professionals offer exceptional care for this condition. First, Dr. Wall can recognize irregularities in your soft oral tissues and jaw alignment. Second, he is a renowned neuromuscular dentistry expert. Because he recognizes the unique balance of your jaw joints, facial muscles, and soft tissues, he can provide a comfortable appliance with outstanding treatment results. With a restful night’s sleep, you can enjoy a full, active life. Contact us today to learn more about sleep apnea and find out if an oral appliance is the right option for you.